The Bajaj Pulsar RS200 was launched in the month of March this year. Pulsar RS200 welcomed both critics as well as huge welcome in Indian market. RS200 showed significant improvements than that of Bajaj Pulsar 200 NS. The Pulsar RS200 was primarily offered in 2 variants- ABS and non-ABS variants with a price difference of 12,000 INR. Most of them expected that non-ABS variant of Pulsar RS200 could enjoy more sales as compared to ABS – It turns out, it is other way around as the official sales figures say there were 3500 bookings registered for top-end pulsar RS200, it means 50% of the consumers have opted for ABS equipped motorcycle. It is a good thing which is going on as ABS is a very important safety feature. Bajaj Pulsar RS200 2015 gets a one-channel ABS on the front wheel. The motorcycle features the largest 300mm front disc brake and 230 mm disc at the rear, the ABS unit has significantly improved the stopping performance on RS 200 as well. With the stats from Bajaj, it is extremely interesting to learn more riders are going for ABS unit, choosing safety over speed thrills. The all new Bajaj Pulsar RS200 is powered by 199.5cc fuel-injected, liquid-cooled, one cylinder engine which churns out a maximum power of 24.5 PS at 9750 RPM and a peak torque of 18.6 Nm at 8000 RPM. 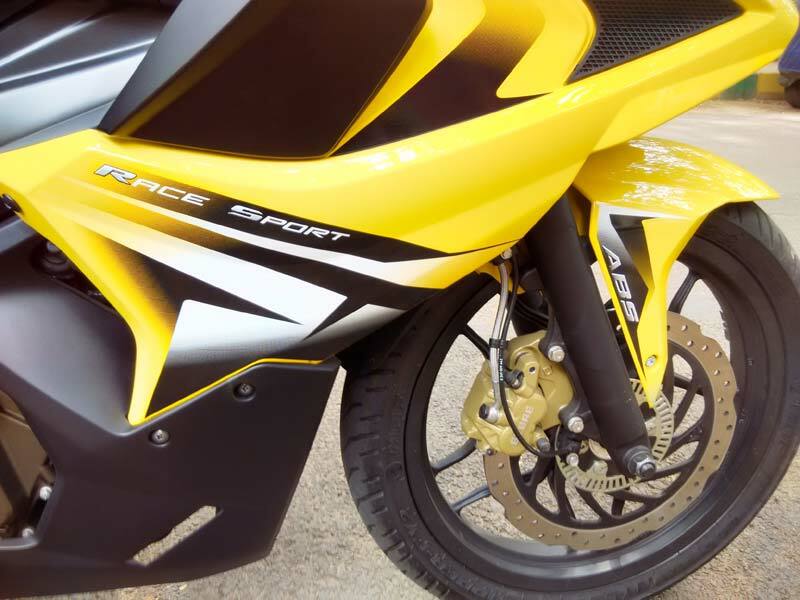 Pulsar RS 200 is mated with a 6-speed gearbox and has a 165 kgs of kerb weight. Talking about the performance of motorcycle, RS200 could attain a speed of 0-100 kmph in a mere 10.12 seconds and provides a mileage of upto 35 to 40 kmpl. 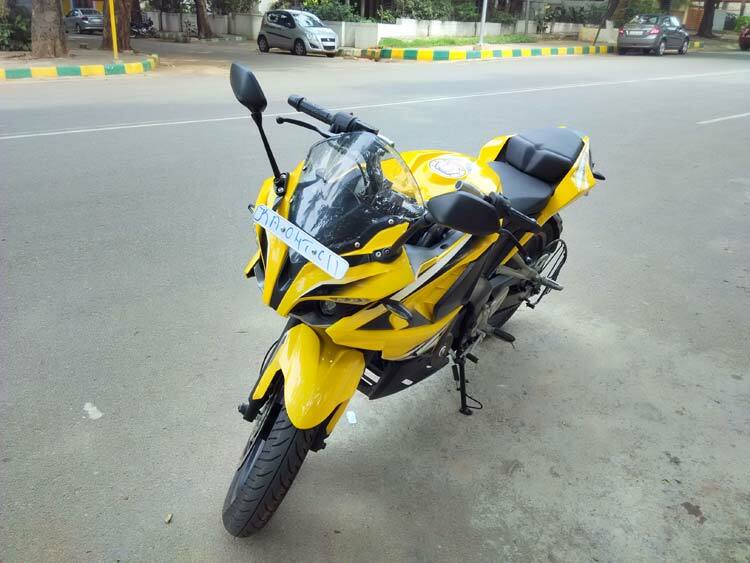 The Bajaj Pulsar Racing Sport 200 Priced has been priced at Rs.1.17 lakhs (ex-showroom, Bangalore) for the ABS version. The motorcycle is one of the most affordable performance bikes one could purchase in India with ABS, at the same time delivering value for money.